The latest addition to the popular EZY removeable range is the Compact EZY. The ultra low profile / low volume shape is perfect for city bikes and folding bikes. The superlight one piece extruded alloy body is extremely robust and the CNC machined sealed bearings and will withstand all weather conditions. The pronounced edges mean that its diminutive size does not compromise grip. A good alternative to the Brompton's Pedals. A must pedal. Very robust and reliable. Good grip sensation. Alert: use a thin, thin 15 wheel to fix the pedal to the crank. And the 24 to extract the B folding standard left pedal. Is this the price for one pedal or for a pair? This is for a pair of pedals. Hi, what is the dimension of the platform? What is the material spindle and platform? And pedal or pedals?? This is selling with pair right? 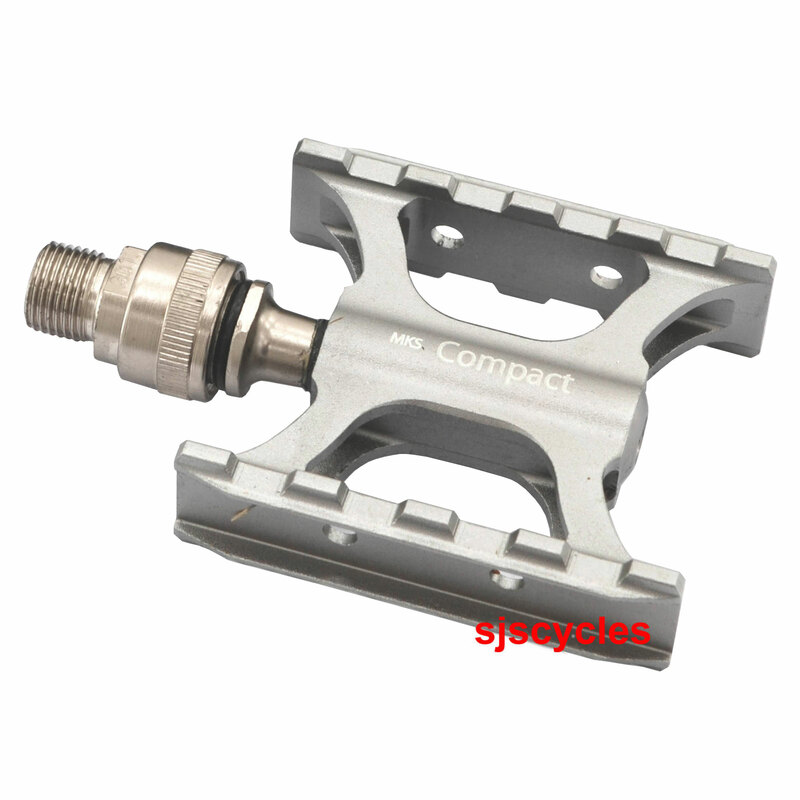 The platform of this pedal measures 75mm x 67mm. The spindle is made form steel and the platform is alloy. These pedals are sold as a pair. What Is The Weight Of Pedal? These pedals weigh 304 grams for the pair.